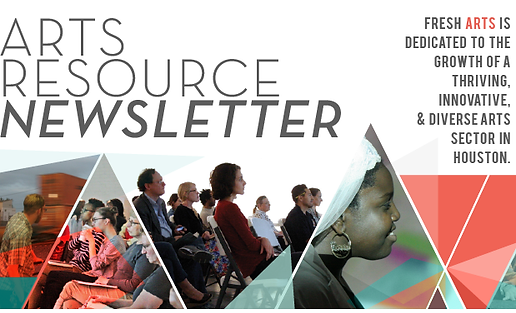 Receive information regarding call for entries, workshops, grants, job opportunities, residencies and more, in your inbox EVERY MONTH! Our website is user-managed, this means that the community can add their opportunities, events, etc. to our website. At the beginning of each month, we collect the opportunity listings on the Artist Opportunites page and include them in the Arts Resource Newsletter. Steps to list your opportunity on our Artist Opportunity board, and be included in the Arts Resource Newsletter. 2.) Once you're logged into our site, hover your mouse over "user menu" in the top left corner of your screen, a list of actions will appear and you should choose "List an Artist Opportunity". 4.) You can always go back to your Dashboard (via the user menu when you're logged in) to find and edit any item you've added to our site.